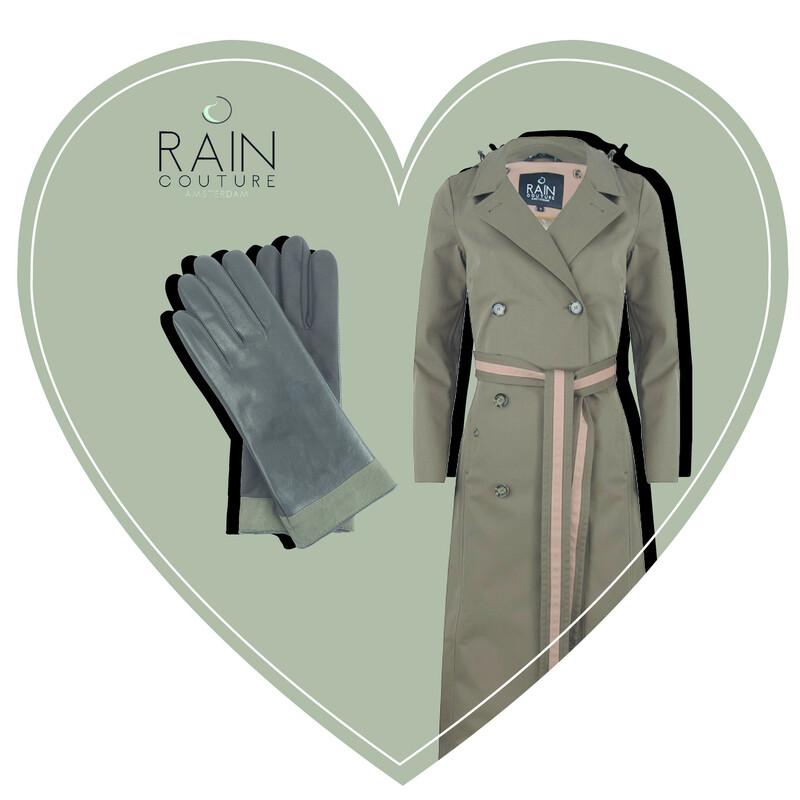 Whether you've been devoted to the real love of your life or still looking, we’ve come to help you to find your date proof outfit at Rain Couture Amsterdam. A fashionable raincoat in a country like the Netherlands is something very necessary. Especially if the weather forecast for Valentine’s is expected rather grey & gloomy. 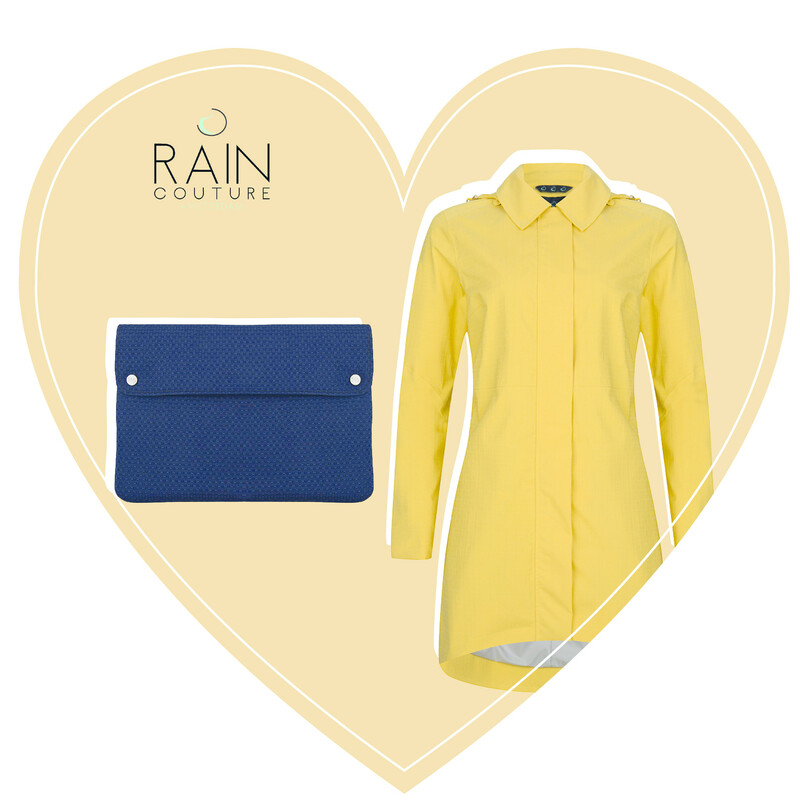 So, if you get to step outside for love or first date: do it stylish and rainproof! As the beginning of 2019 we still call for winter wear: Rain Couture offers a broad selection of warm and fashionable rainproof coats & rain accessories. We've put together some inspiring looks down below for you! Get inspired and find your ultimate best Valentine's Day look! Ps: To indulge yourself even more on this heartfelt day – we have a little surprise for you when Valentine-shopping online or in our Amsterdam boutiques! First, when buying a raincoat between 11th & 17th of February, you can buy a funky piece of accessories with 30% DISCOUNT. We offer a beautiful selection of scarves, gloves, winter bodywarmers , tailored rain paints and 13-inch laptop sleeves which are all waterproof the same way as our rainwear collection. Secondly, as this holiday is all about champagne and chocolates we send with every Valentine’s Day package a delicious package of chocolate so you can enjoy your purchase even more! A lunch date at a cozy and atmospheric café during a cold rainy day can be very romantic and dreamy. What makes it even more special is a matching outfit! Besides that our navy woolen Maxi coat is very stylish, this pretty waterproof coat also protects you from every rain shower 100% while not making a clue you are actually wearing a raincoat. This way, we assure you and your outfit stay completely dry while getting in style to your date! Combine this fashionable raincoat with the leopard print laptop sleeve as an eye-catching accessory. 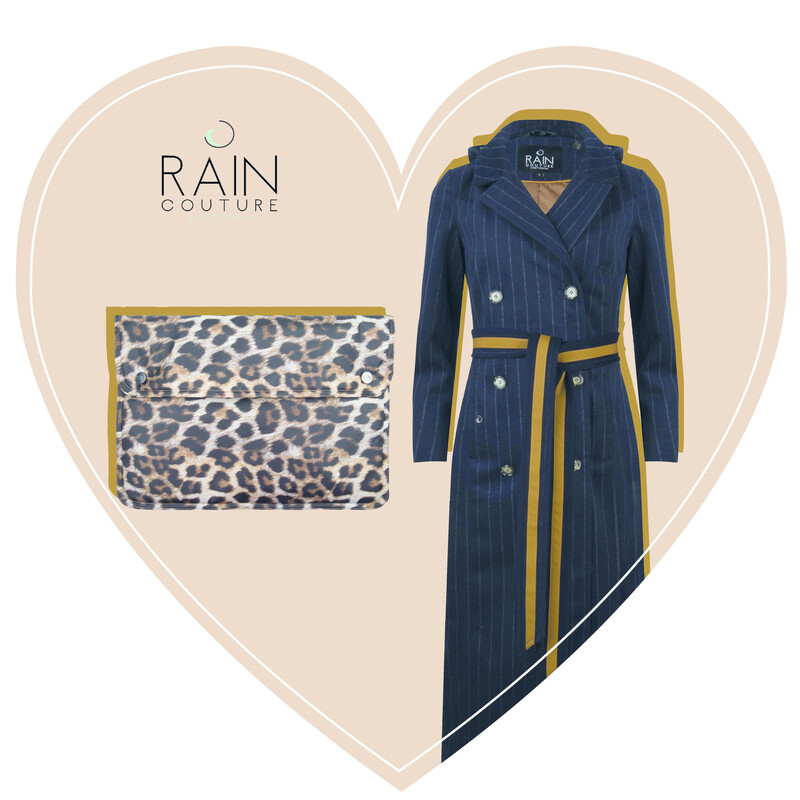 This funky leopard pattern in combination with the pin-striped woolen raincoat gives an eye-catching, playful look. Ar you more fan of a minimalistic wardrobe? Pair this coat with a premium quality white shirt and black suit pants and stilettos. But, when it comes to the latest trends: go daring and pick an animal printed blouse with a pair blue jeans and a pair of simple sneakers. And remember: this stylish raincoat comes with 2 reversible belts: a longer one what you shall you to tailor the coat to the max. The shorter two-sided belt is for a beautiful back detailing when you detach the longer belt. And since it is two sided you can choose: either going with the blend-in woolen side or the mustard accented side! One thing for sure, this ultimate stylish raingear is one of the great timeless pieces of our new collection which you can enjoy for the coming seasons ahead. Is it time for romantic weekend away on the Dutch coast line? Feel yourself adventurous and hit the beach with your loved one for a spontaneous walk! But, first things first: dress effortless and keep in mind it might rain that day! Certainly one thing is for sure: it is always windy by the beach so get yourself a fashionable and yet still comfortable rainwear from Rain Couture! 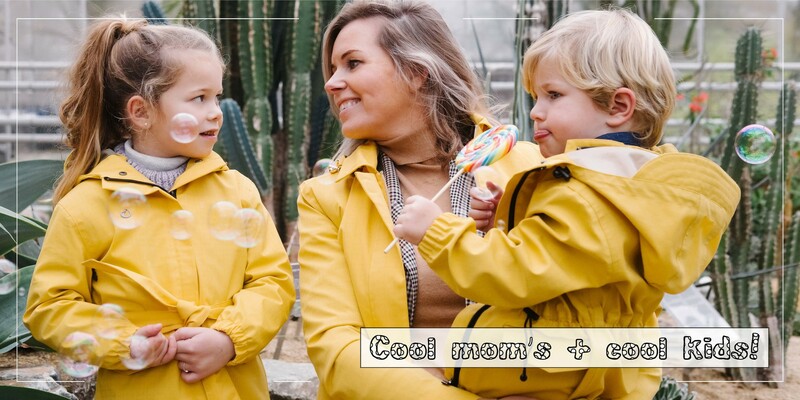 When you are in a need for something both functional and stylish our best recommendation would be the waterfall raincoat in sunyellow paired with our tailored rain pants in black for instance! This rainsuit will shelter you no matter how harsh the weather might get on the seaside. And hereby it is handy to know: all our rainproof coats have detachable or attached hoods which'll definitely keep your hair dry in style too! No more destroyed hairdo's and unwanted frizziness after hours of hair and makeup preparations. Also, fun fact: in all our multifunctional raincoats there is a keychain cord attached in the pocket, to be able not loose those irreplaceable spare keys when you are about to be swiped off your feet by your lover! Pair this cotton raincoat with a comfortable black turtleneck or to spicy it up match it with an camouflage printed green turtleneck. Finally, complete your look with trendy Timberland shoes or black ankle length sneakers to bear the sand. And if you still need to catch with work after your romantic walk like a cool lady boss, we recommend to stash your laptop into one of our waterproof laptop sleeve to keep away the salt , sand and sea from your expensive electronics. New collection's favourite: the green long maxi coat with double-breasted front is the perfect outdoor rainproof coat and a fashionable friend for a day in & out in a city, that never sleeps like London, New York, Paris but even Amsterdam. This multi-functional and stylish raincoat is must-have waterproof IT item in your closet. 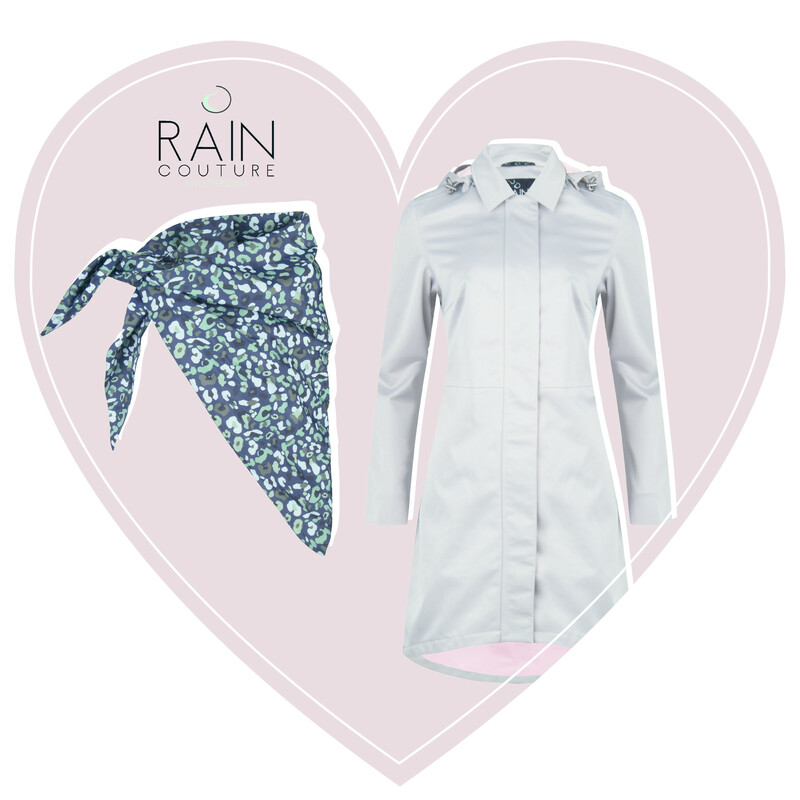 This feminine raincoat is easy to combine with a sleek black dress and ankle boots to give your outfit an edgy look. Due to the ultimate comfy outfit you will quickly fall in love all the functional and fashion-forward rainproof details when wearing this timeless coat! Like, for instance: every single piece from our rainwear collection has breathable lamination, which makes the coat very comfortable and not sweaty at all. Also, there has been special air ventilations applied at every fully rainproof coat to keep up with the fast bicycle rides or races of who catches the cab fastest in the city where Uber is the way to commute. When the real winterish weather hits the cold, insert our tailored green/grey bodywarmer inside for extra warmth and dress your hands in our waterproof soft leather gloves. You can pick this rain accessory with a green, black, grey and navy binding. At this vintage green maxi long raincoat – go for a trendy matchy-matchy green detailed rain glove! In a need for carry-on suitcase proof outfits on a rainy day? The foldable waterproof rainparka in combination with our black waterproof rain pants is a best choice possible for a weekend away, since both items have their own bag to fold them inside. So you can store them smooth and easy besides all your must-have travel belonging without them getting wet! How practical is that? One like a wet oddly wrinkled blouse before going out – right?! This camouflage printed raincoat has also got the bodywarmer buttons inside ( like any other Rain Couture styles ) to be able to attach the additional quilted bodywarmers in case of freezing weather during your long weekend. Style this wind and waterproof printed raincoat and tailored rain pants comfortably: a pair of platform chunky dead sneakers to be on trend, but to keep the vibes sporty. In case you are more fan of the chic trends: find yourself an minimalistic dress and pair it with camouflage stilettos to give an up-to-date urban look! Also, good to know: our waterproof rain trousers are unlike any others. They are rather regular/high waisted cut, tailored fit with a slightly flared legs to be able to step through with your shoes and the gloomy days demand you to. Due to their creative construction, these rainproof pants are suitable for a lot of different kinds of activities and outdoor hobbies throughout the year, such as: Nordic walking, sailing, golf, sailing or even horse riding. Thinking of what color to pick? Go for your first thought – that when your fashionable intuition speaking up during the shopping trips. So, what will it be: coral red, ash black or forest green? What could be more fashionably fun-tastic, than going ice-skating with your BF or BFF on Valentine's Day?! Pick the closest place to ice-skate and more importantly find the best look from us for this special occasion! And when you say – we say silver; and when it comes to silver we can only think of one thing besides not to look like Frozen .. is our snow & rainproof Waterfall Coat in silver grey! This is the kind of raincoat is the trendiest according to 2019's style bible. Wear it with any soft neutral or pastel outfit and you will look, like one of “them” ice-skating your way out of the fashion magazines. If you want to match is with something fun, pair it with our ice-camouflage printed waterproof scarf and you are good to GO, SKATE! Another beautiful detail of this feminine raincoat is that there is elastic cord from the inner side of the rain jacket to be able to tailor its waist as you feel like. 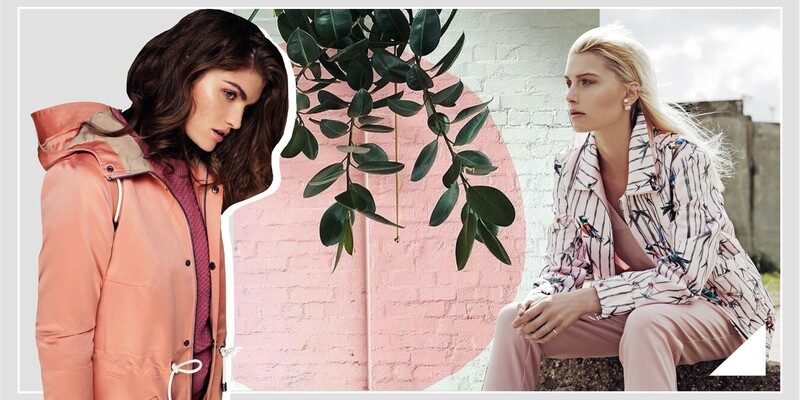 In case of preferring vibrant colors over pastels – think in blue, green with a touch of Pantone Living Coral with a pink overtone and you will certainly be in love with your team-mate but your outfit too! Having troubles find the right one from our rainproof collection? No worries, that's what we are for! When it comes to doubtful situations, go for the one which you would have the most fun in style! Find a rainproof piece that shows an effortless chic factor but also very much suitable to combine it with low-key items on a casual day when you are not even up for make-up but worn sneakers, jogging pants and boyfriend T-shirts. Since 2018 was all about check patterned craziness – this checkered fashion habit continued to 2019 so there is one thing for sure: if you pick a waterproof coat like our Maxi long Check-patterned coat, we assure you to enjoy this piece for the fashionable as well as the laid-back comfy years ahead of you! Combine this checkered waterproof maxi coat with its matching waterproof scarf in check , a funky leo printed laptop sleeve and grey detailed leather gloves. Gear up with us to bear the rainy or windy seasons with us! Surprise your wardrobe with these must-have rainproof basics to enjoy any moment spent outside or at the office. These were our best loved date-proof and/or self-loving Valentine's outfits to handle this heartfelt holiday in dry and stylish, but more importantly in a way that fully expresses you as person on day or night like this. Anyone who crosses your path should get to know you at a glance of a time: who you are and what you stand for in life & love! So, don't forget and enjoy our Valentine's gift to you, dear Reader! Purchase a coat together with an accessory and get 30% rainproof discount on your accessory + a box of chocolate! Ready, Set , Happy Rainproof Shopping!